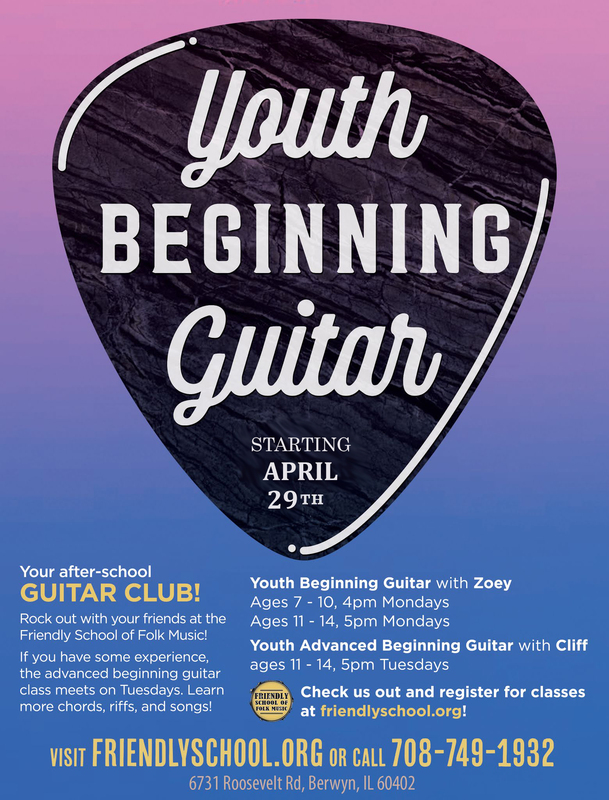 The Friendly youth guitar curriculum teaches your child the fundamentals of music theory and an understanding of how the guitar works, all while jamming traditional, classic rock, and contemporary tunes in an encouraging and fun group environment. 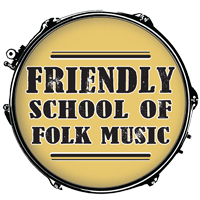 The Friendly beginning guitar class is for youth, ages 7-10 or 11-14, who are new to the guitar. In the beginning class, we will learn fundamental rhythm and strumming skills, chords and riffs, reading tablature and rhythmic notation, and songs in guitar-friendly keys. The beginning guitar class is the first in a two-part guitar curriculum and is intended to be repeated until the prerequisites for the intermediate guitar class are met. The Friendly intermediate guitar class is for youth, ages 7-10 or 11-14, who have passed the Friendly School’s beginning guitar class, or by instructor permission. In the intermediate class, we will develop more complex rhythm and strumming skills, learn melodies and riffs, focus more specifically on good tone, and continue to expand our chord vocabulary. The intermediate class is the second in the Friendly School’s two-part guitar curriculum and is intended to be repeated until the student is ready to join an ensemble or to perform a piece at a showcase or open mic.